See how you can obtain the good bacteria with our probiotics and why it’s essential part of your digestive system. See Doc Talk’s interview with Dr. Shekhar. Probiotics is slowly becoming considered the new vitamin for our overall health. With too many of us running on little to no energy, or we have to get our morning caffeine just to start our day, feeling tired all the time is the bane of the modern world. But our strain of probiotics can help you overcome this tiresome feeling with a boost of natural energy gained. When your gut is unbalanced, it is more difficult for your body to digest foods, then causing your body to use more energy in the process. This is one of the top causes of low energy, fatigue and weight gain for the average person. When you re-balance and repair your gut by eliminating the difficult process of digesting those foods by taking our probiotic supplement you will almost instantly see a huge increase in your energy and your health! Are you getting sick more than you should be? If you struggle with the common cold, allergies or the seasonal flu, this is a sign your immune system weak and needs help. 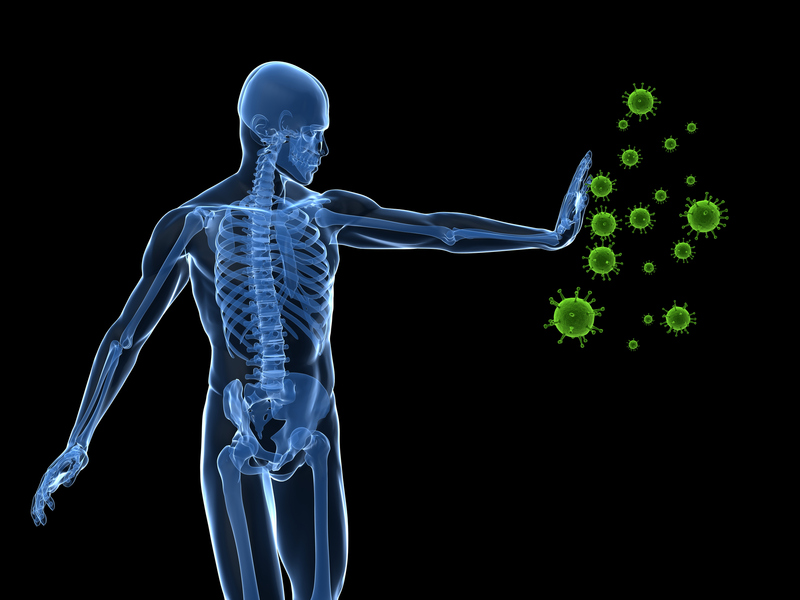 70-80% of your immune system is inside of your gut and your gut bacteria have a direct impact on how strong your immune system is! It’s estimated that there are roughly 10 TRILLION microorganisms living in the human intestines. While these bacteria are responsible for breaking down the food we eat making it possible for your body to absorb them into your bloodstream, but they also serve as protection against invading pathogens. Without the bacteria living in your gut, you would have no digestive system! As the bacteria breaks down the particles of food in your intestines, they also break down any bad bacteria, viruses, germs, and fungi clinging to the food which can cause you to get sick. While it’s nearly impossible to get rid of all the pathogens from your food your intestinal bacteria deals with the invaders the best way it can. This means if your gut is unbalanced and unhealthy, your immune system suffers causing you to experience more sick days! If you’re experiencing weak immunity, Online Probiotic highly recommends taking immediate action steps to re-balance your gut and heal your digestive system by taking our probiotic brand sold here. Gas produced by the bacteria in the intestine is a major contributor to bloating. We all know how uncomfortable or embarassing it may be to have gas, but rest assured there is a solution with our brand of probiotic supplements. Several clinical trials have shown that certain probiotic supplements can help reduce both gas production, as well as bloating, in people with digestive problems The American Journal of Gastroenterolog& NCBI . Several studies suggest a good quailed probiotics like ours can help you lose weight and especially belly fat. There are hundreds of different microorganisms in your digestive track. The majority of these are bacteria, most of which are friendly. With friendly bacteria producing several important nutrients, including vitamin K and certain B-vitamins, they also help break down fiber that the body can’t digest. There are two main families of good bacteria in the gut: bacteroidetes and firmicutes. 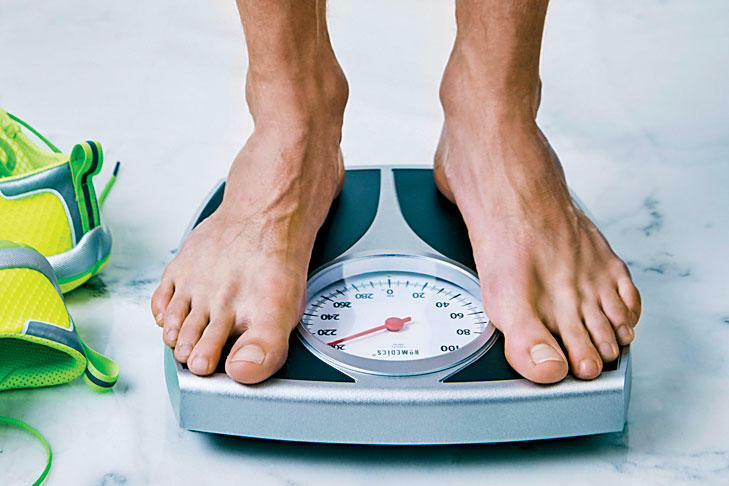 Body weight seems be related to having a balance of these two families of bacteria (NCBI). Recent studies found that normal-weight people have different amounts of different strains of gut bacteria than overweight or obese people. In those studies, obese people had more firmicutes and fewer bacteroidetes as compared to their normal-weight counterpart. One way to achieve this type of bacteria is through probiotics sold directly through our store. Probiotics don’t just make your tummy happy , but they also have a direct impact on our brain. Nutritional therapist Natalie Lamb states ‘research shows maintaining a healthy gut flora can help reduce anxiety by lowering levels of brain activity linked to emotion and pain.’ If you struggle with anxiety or the feelings of depression, it is highly likely you are also struggling with digestive issues and an unbalanced gut. There are studies with both humans and mice showing probiotics decreased anxiety and stabilized mood changes which can have a direct result in overall behavior. By taking our product you are ensuring yourself to positively affect your mood while reducing anxiety and depression. Online Probiotic is a sister division company of GarciniaLab Inc. products. 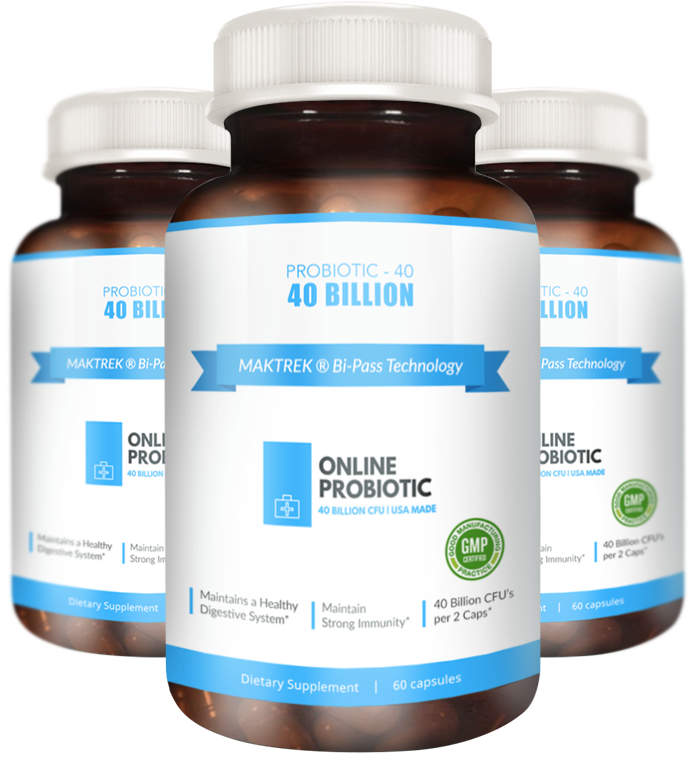 As the world’s best selling brand of various supplements and probiotics, OnlineProbiotic™ sets the standard for digestive supplements. 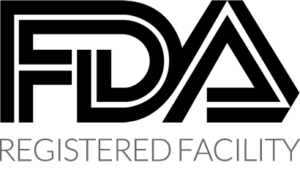 Our team of doctors, chemist and devoted nutritionist are devoted to delivering the most pure, potent, and effective probiotics strain sold anywhere at a affordable cost. All of our formulas are scientifically tested, patented and proven to support your digestive, immune health and overall health. When ordering from, you’ll instantly receive free supplement consultations and 7 days a week phone support. This is the BEST probiotic I’ve ever used! Saved me a trip to the Doctors!!! For years I was getting stomach aches after every single meal. No matter what I did I was getting extremely bloated just the same hour I ate. I had planned on going to the doctors after the holidays were over. A friend told me about trying probiotics since it helped his father who had similar issues like I was having. I had been taking another brand with no relief, and that’s when I found Online Probiotic online. After only three days of using this probiotic, the pain is completely gone and I have no more bloating. Since writing this its now been almost two weeks taking the product and I feel great. This brand of probiotics is simple, comes in one recommended strength . I will not switch brands of probiotics again because I know this one works. I have suffered from anxiety my whole life, and I read an article on how a leaky gut can negatively effect on the body. After I tried the probiotics sold y this store I felt better that same week. Had more increased energy and noticed that anxiety was one of the symptoms of my guts health. Well I’ve tried many probiotic before, but there has never been anything that has made me feel better like this. Bottom Line: Yes, this probiotic helped me and I’m sure it can help you. Love these probiotics! I was recommended by a nutritionist who mentioned strictly buy from this brand as it contained the strain of bacteria she recommended. So far the best probiotic brand I’ve used, and I’ve used 5. No refrigeration is required, just keep in a dry room temperature place; they sit in my living room next to my chair and I take one every morning with a glass of water. I can eat 2 bowls of bean chili for lunch and no gas. Cabbage…no gas. Brussel sprouts…no gas. Makes both of us regular. Feels like I have more energy and cannot say enough about these. Calls for 2 a day, but I frequently forget to take a night dose and not really a difference. Just follow up the next day! Bottom Line: Yes, try this brand, they helped me and they can help you! Instead of making claims as the world’s best selling brand of probiotic, we set ourselves differently since we have a track record for success for all sorts of dietary supplements. With over 20 million customers worldwide, we continue to lead the standard for digestive and dietary. Our team of experts are devoted to delivering the most pure, potent, and effective probiotics available anywhere at a very affordable cost. All of our formulas are scientifically tested and proven to support both digestive and immune health. There’s only one sure way to know if your probiotics are effective. It’s called the “Milk Test” and it measures the ability of a probiotic to produce enzymes in a glass of milk. If a formula can’t produce enzymes when added to milk, it probably won’t be able to produce enzymes in your stomach.